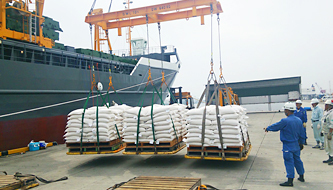 Marine Cargo Handling | Sanriku Unyu Co., Ltd. 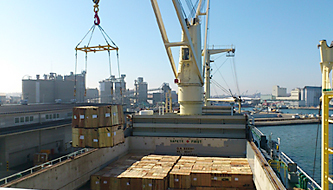 Ports and harbours serve as gateways through which goods flow between land and sea, supporting economic activities at home and abroad. 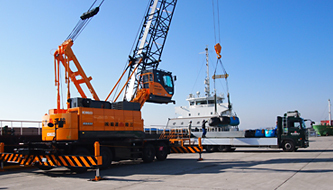 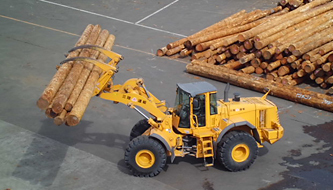 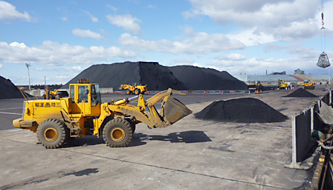 Loading and unloading marine cargo at ports and harbours requires skilled workers and versatile machinery. 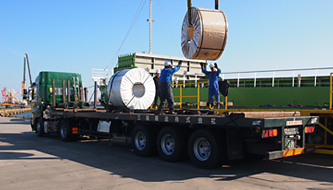 Our teams of experienced dockworkers operate state-of-the-art machines to safely, reliably, and efficiently load and unload to and from freight vessels a variety of goods, such as ocean containers, automobiles, steel materials, timber, coal, grain, frozen seafood, and sundry goods.